With the increasing popularity of succulent plants and cacti, some are wondering about growing cacti from seed. Anything that produces seeds can be reproduced from them, but this is not true of every seed. Cactus seed growing might move along easily without your help if conditions are right, but this is unlikely. Some seeds that drop in the natural habitat may take many years to germinate. Getting them started may be a process you’ll need to do yourself. 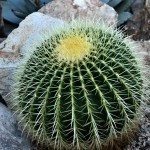 Successful cactus seed germination results in more plants to expand your collection. Seeds form in blooms of the cactus. If you wish to attempt collecting them, remove flowers as they fade and place in a small paper bag. You’ll find the seeds when the flowers have totally dried up. 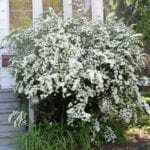 You may also purchase seeds, as many are available online. Check to make sure you’re purchasing from a reputable source. You want healthy, viable seeds to sprout. Dormancy of the seed must be removed before it will sprout. Several means of removing the dormancy factor are important when learning how to plant cactus seeds successfully. Scarify the seed, making a small opening, with sandpaper, a small knife, or your fingernail. Soak in lukewarm water for a few days, changing the water daily. Stratify by placing in soil in the freezer or outdoor cold for 4 to 6 weeks. After the completion of these steps, plant your seeds into a moist, well-draining seed starting mix and cover. Do not plant deeply. Some, such as golden barrel cactus, can be just laid on top of the soil. No more than a light soil covering is needed for others. Locate in a bright area, but not direct sunlight. Filtered sunlight is acceptable. Even though cactus grows in dry areas, it requires high humidity to germinate. Soil must remain moist, but not soggy. Seeds will sprout in a few weeks to a few months. Patience is a virtue. Above soil growth develops before the root system, according to cactus seed growing info, so consistent moisture and high humidity is necessary until roots are well-developed. This is normally until the plant fills the small starting container. You may then transplant your seed-started cactus.